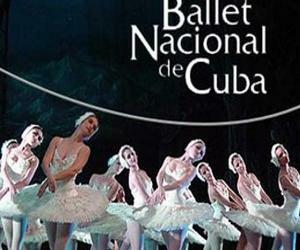 The National Ballet of Cuba (BNC) will present in Italy its versions of two classic literature, Giselle and Don Quixote. The Regio Theater, Turin city, will host the first set starring the stars Viengsay Valdes, Yanela Piñera, Anette Delgado, Dani Hernández, Arian Molina and Victor Estevez, among others. The company will dance Giselle version choreographed by Alicia Alonso, from December 10 to 14, inspired by the original Jean Coralli and Jules Perrot, with libretto by poet Théophile Gautier on a German folk tale collected by Heinrich Heine. The same cast of artists will perform from December 17 to 21 Don Quijote, in choreographic version of the former BNC dancers Marta García, María Elena Llorente and Karemia Moreno, on the original by Marius Petipa and Alexander Gorski version. Meanwhile, another group of artists of the company will dance from December 18 to 20 in Canada Alicia Alonso's version of the classic Nutcracker, at the Performing Arts Centre Theatre, City of Burlington. The protagonists of the play will be the main dancers Grettel Morejon, Serafin Castro, and the young Chanel Cabrera, Rafael Quenedit and Francois Llorente, recently graduated from the National School of Ballet who were awarded this year in international contests in Cuba and South Africa.